Welcome to Silex Booster Club page. The purpose of the organization shall be to support programs at Silex School, and promote excellence, pride, and good sportsmanship amongst the student body and community. 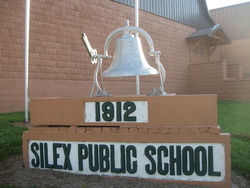 The organization shall encourage parent/ guardian, faculty and community involvement and strive to ensure that opportunities continue to be available to the students of Silex School.